Now that M is walking more, sometimes we don’t want to go out with a double pushchair taking up all of our boot space. B is still tiny though, so we need still need something to transport her in! 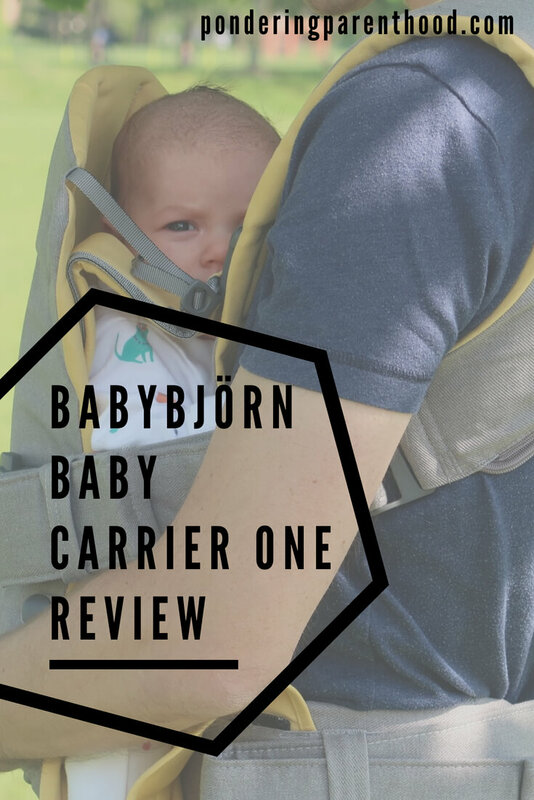 We never really used a carrier with M, so when we were sent the BabyBjörn Baby Carrier One, I was interested to try it out. Sometimes I wonder whether this should be a dad blog really – hubby features in more of the photographs that I do! I am very definitely the photographer of the family though, and he is more photogenic than I am (in my opinion! ), so it’s less stressful to get him to feature in the photographs while I stay firmly behind the lens! 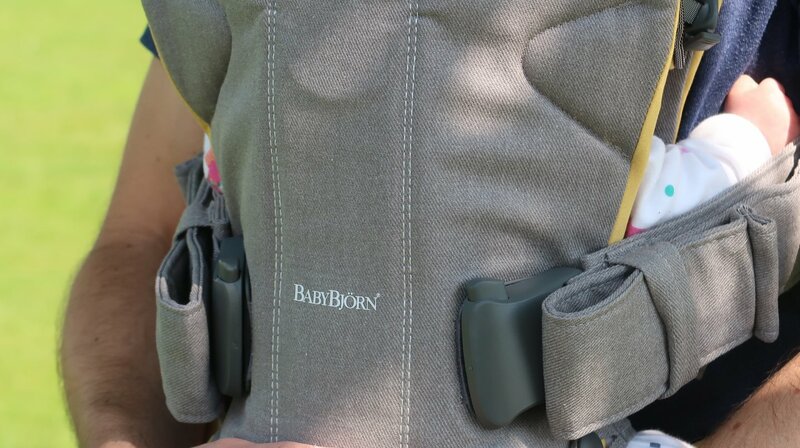 I have used the BabyBjörn Baby Carrier One with B as well, though, so I do write from my own experiences here. One of the first things I was worried about with this carrier was B’s hip positioning. B was a breech baby and we had to have her hips scanned at 6 weeks to check them. In fact, we’ve got to go back again in a couple of weeks time to double-check as the ligaments around her right hip were a little soft. 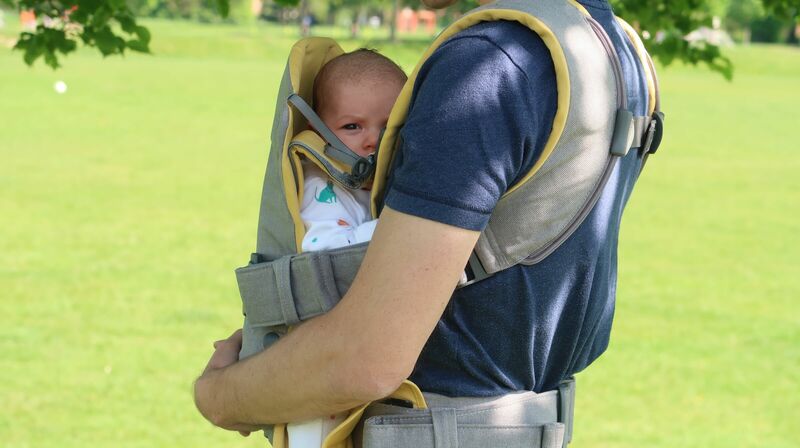 Reassuringly, the BabyBjörn Baby Carrier One has been updated from previous designs to include a new flexible shape. This has created an ergonomic seating position, which has been approved by the International Hip-Dysplasia Institute as being hip-healthy. The BabyBjörn Baby Carrier One is a structured carrier. At first look all of the zips and clips look rather confusing! However, if you’re a regular reader of my blog, you’ll know that I’m a big fan of an instructional video! BabyBjörn haven’t disappointed. A quick watch of the YouTube video below, and I soon felt confident getting B in and out. Once you have the straps adjusted to the right length for your body and your baby, it’s very simple to clip on and off. 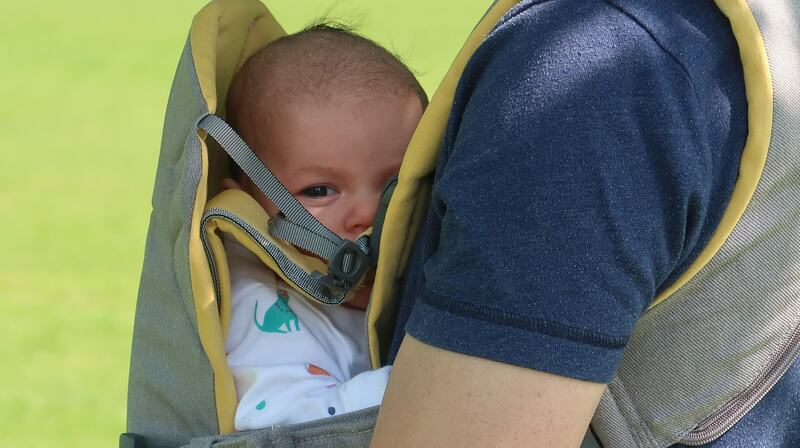 The BabyBjörn Baby Carrier One can be used with children from newborn to three years, in four different positions. This means that as well as using it for B, once she gets a bit older and can sit up, we can take out a stroller with a really compact fold and pop the BabyBjörn Baby Carrier One in the basket in case M gets tired and doesn’t want to walk. Then B can go in the stroller and M can be carried. As much as we love our double pushchair, there’s something of a sense of freedom at the thought of not having to take it everywhere, especially if we go on holiday and need more space in the car for luggage. Of course, there’s also the added bonus of having both hands free, rather than juggling a baby. The only downside of this carrier is that you wouldn’t be able to breastfeed in it. So you’d need to remove it (and the baby) to feed, then put it all back on again. No major issue, but something to consider if you are breastfeeding. It’s also quite bulky so not something you’d be able to fold up and pop in a handbag! Having said that, the structure of the carrier is reassuring, especially when carrying a larger child. The extra padding also means that small babies are well supported. 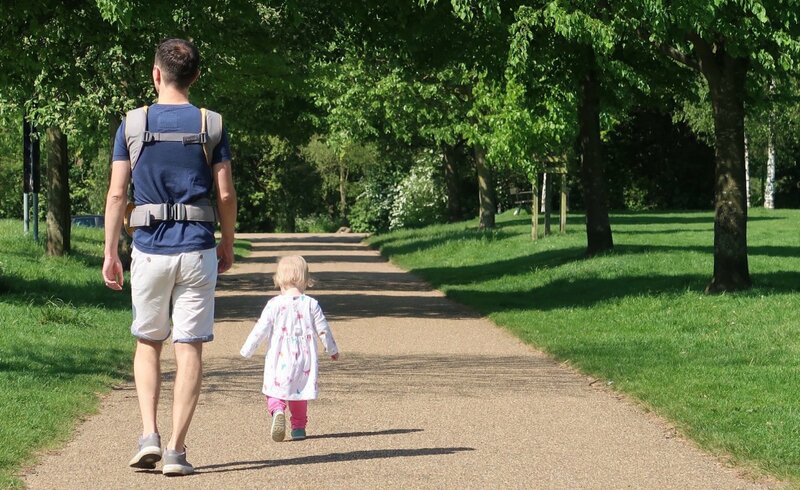 Overall, the BabyBjörn Baby Carrier One is a great choice for anyone looking for a structured carrier. 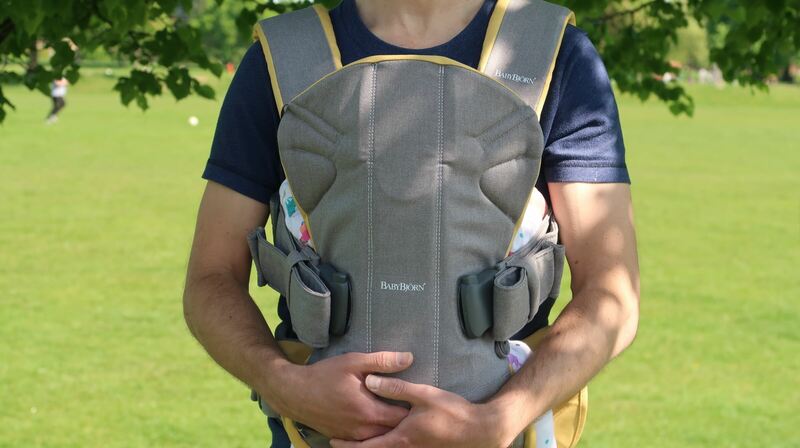 The BabyBjörn Baby Carrier One has an RRP of £140 and is available from all leading retailers. Disclosure: We were sent the BabyBjörn Baby Carrier One free of charge in order to write this review. However, all opinions are my own. "Fancy Feet with Mocc Ons and Sock Ons"